We are always down to be inspired by the latest looks from our favourite celebrities and this past weekend was no different. 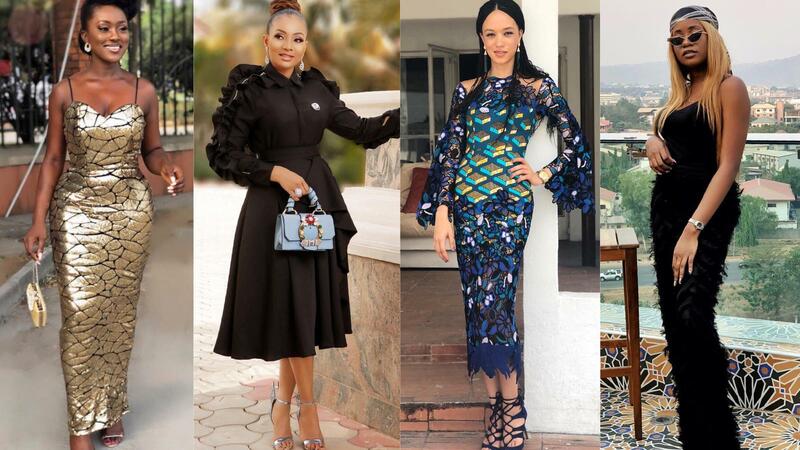 Going by the looks we spotted, it seems Nigerian celebs and socialites are taking a different approach to style this year. There’s something about the way they turned up this weekend that proves that their style choices went beyond just picking out and assembling a look. It was more about their personality radiating through their style and we love it! Her smile is like bright light so why wouldn’t Linda Osifo go for an outfit like this effortless gold stunner? This elegant and sparkly piece is so Linda and it complements her skin tone beautifully. If you know TV girl Eku Edewor, you know she’s no plain Jane. She’s a bunch of things in one and this richly-detailed Ankara piece really represents her sassy and eclectic personality. Feathers are soft and fluffy but don’t ruffle them because you might get pecked. These feathers are Kiki Osibanjo; soft, fluffy but very keen. The fun and bubbly Nina Onyenobi – who can’t be dampened by negativity – is wearing an outfit that characterizes who she is as a person; filled with life from head to toe. We’ve long known that actress and movie producer, Lilian Afegbai loves to stand out. She’s on everyone’s best-dressed list and her style choice this weekend once again was true to her person. Actress Adunni Ade takes risks and is never predictable. The beautiful mother of two really channelled her individuality into this look – did she nail it? We think she did! Who doesn’t love a classy queen? Nimi Nwafor is one woman who always exudes elegance and class even when she’s in gym clothes. This combination definitely speaks to her fine taste. Always so glam and poised, Ozinna Anumudu was the belle at the hall in this purple number. But don’t let the glam fool you as she knows how to have a great time – that’s what the slit is for.